^ Daily Star. "Timeline of the July War 2006". Retrieved April 17, 2007. ^ Herbert Docena (2006年8月17日). “Amid the bombs, unity is forged”. Asia Times Online. 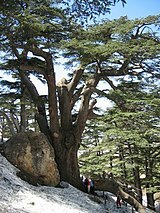 http://www.atimes.com/atimes/Middle_East/HH17Ak02.html. "The LCP...has itself been very close to Hezbollah and fought alongside it in the frontlines in the south. According to Hadadeh, at least 12 LCP members and supporters died in the fighting." ^ "Two Northern Command chiefs? ", Ynetnews, 8 August 2006; See also, "IDF officials: Maj. Gen. Adam must quit post after war"; "Israel swaps commanders"; "Impatient Israel appoints new battle chief"; "New Israeli General Oversees Lebanon "; "Israel names new commander to head offensive"; "Israel changes command structure"
^ Patrick Bishop (August 22,2006). “Peacekeeping force won't disarm Hizbollah”. Telegraph.co.uk. http://www.telegraph.co.uk/news/main.jhtml?xml=/news/2006/08/22/wmid122.xml 2007年4月30日閲覧. ""A UN official estimated the deaths at 500""
^ “Lebanon Sees More Than 1,000 War Deaths”. AP via MyUstinet. オリジナルの2012年2月6日時点によるアーカイブ。. https://web.archive.org/web/20120206055402/http://news.usti.net/home/news/cn/?%2Fworld.mideast.misc%2F1%2Fwed%2Fbq%2FAlebanon-war-deaths.RYBR_GDS.html "Israel initially said 800 Hezbollah fighters died but later lowered that estimate to 600." ^ Wheeler, Carolynne; Mark MacKinnon (2006年8月16日). “Israel begins pullout as ceasefire holds”. The Globe and Mail. pp. A13. http://www.rbcinvest.theglobeandmail.com/servlet/ArticleNews/PEstory/LAC/20060816/MIDCEASE16/Front/frontpage/frontInternational/3/3/3/ "Israeli army officials indicated they have 13 captured Hezbollah fighters "
^ Israel Ministry of Foreign Affairs. "Israel-Hizbullah conflict: Victims of rocket attacks and IDF casualties". Retrieved March 9, 2007. ^ BBC News Online (March 8, 2007). "PM 'says Israel pre-planned war'". Retrieved March 9, 2007. 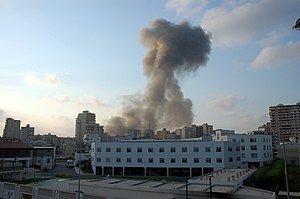 ^ Israel Ministry of Foreign Affairs (July 12, 2006). "Hizbullah attacks northern Israel and Israel's response". Retrieved March 5, 2007.